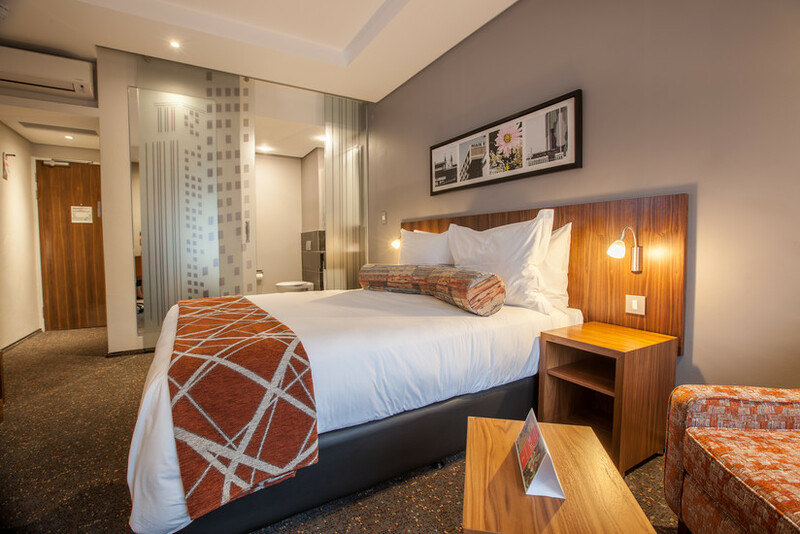 The chic 3-Star City Lodge Newtown. 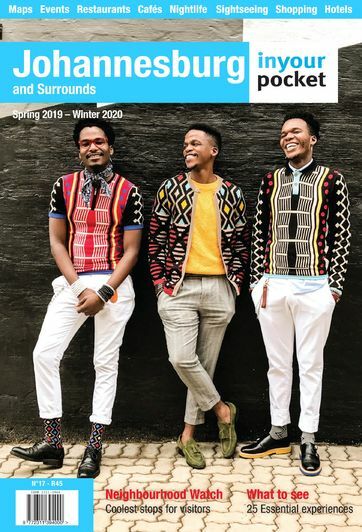 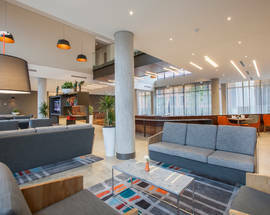 Located a short walk from Newtown Junction Shopping Centre, local design emporium Work Shop New Town, the Market Theatre, Turbine Hall and many other cultural attractions, making this is an ideal location from which to enjoy all this city suburb has to offer. 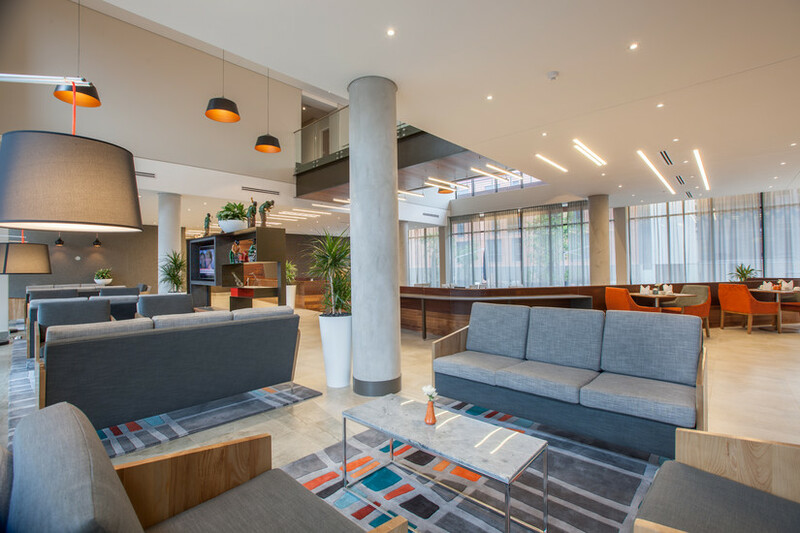 The seven-storey hotel has 148 bedrooms, two boardrooms (that seat 10 and 16 people), a compact fitness centre, swimming pool and a bistro-style lounge and coffee shop open from 12:00-22:00 daily. 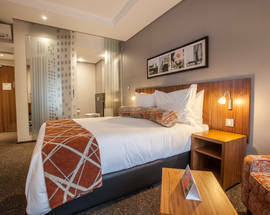 The decor is bright and welcoming and the rooms are furnished with comfort in mind. 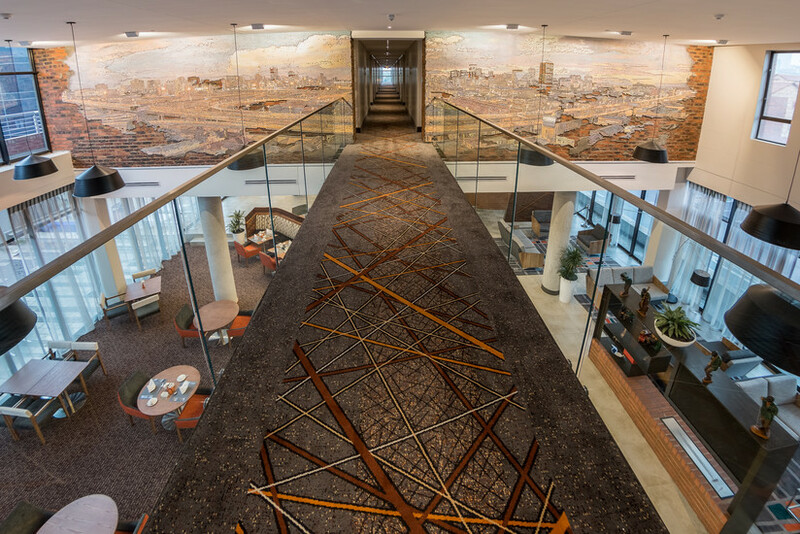 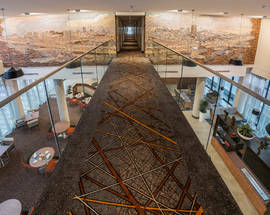 A show-stopping aspect of the hotel is the immense plaster mural above the lounge created by Carl Fouche Maritz that depicts a panorama of the downtown Joburg skyline in glorious shades of gold.